Here’s the exclusive cover reveal for It’s a Whole Spiel, the first-ever anthology of Jewish YA fiction! 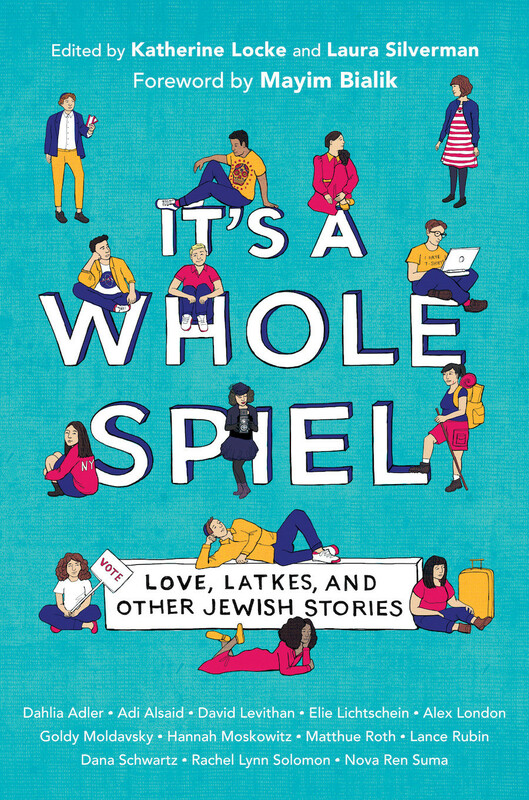 It’s a Whole Spiel: Love, Latkes, and Other Jewish Stories includes stories from authors David Levithan, Hannah Moskowitz, Nova Ren Suma, Alex London, and other familiar voices in Young Adult fiction. 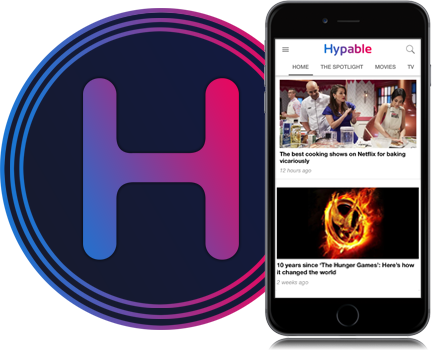 With a forward from actress Mayim Bialik, It’s a Whole Spiel explores the experiences of Jewish young adults in love, at synagogue, in school, and everywhere in between. “A Jewish boy falls in love with a fellow counselor at summer camp. A group of Jewish friends take the trip of a lifetime. A girl meets her new boyfriend’s family over Shabbat dinner. Two best friends put their friendship to the test over the course of a Friday night. A Jewish girl feels pressure to date the only Jewish boy in her grade. Hilarious pranks and disaster ensue at a crush’s Hanukah party. “We are so proud of this anthology from cover to cover. Lisa Maltby’s art is so fresh, bold and upbeat, which captures perfectly the feeling of the stories themselves, all thanks to the art direction from the team at Knopf! With this anthology, we wanted to bring something exciting and hopeful to YA readers, a type of Jewish experience that they may not have read before. We wanted this anthology to reflect diverse Jewish experiences, the intersection of Jewish life with the rest of our lives or the ways that they remain immersed all together. And we think you can see that in the art as well: different characters living their own lives, part of the same tapestry but also unique in their individuality and futures. “For readers who aren’t Jewish or not familiar with Judaism, they’ll find in here stories that feel familiar in other ways: stories of awkward dates, first love, crushes, breaking the rules, struggles with friendships, and growing up. That is another connection to a larger vision, one that we believe is vital, open-minded, and builds empathy and understanding. It’s a Whole Spiel will be released on Sept. 17, and is available for preorder from Amazon, Barnes and Noble, and your local independent bookseller.